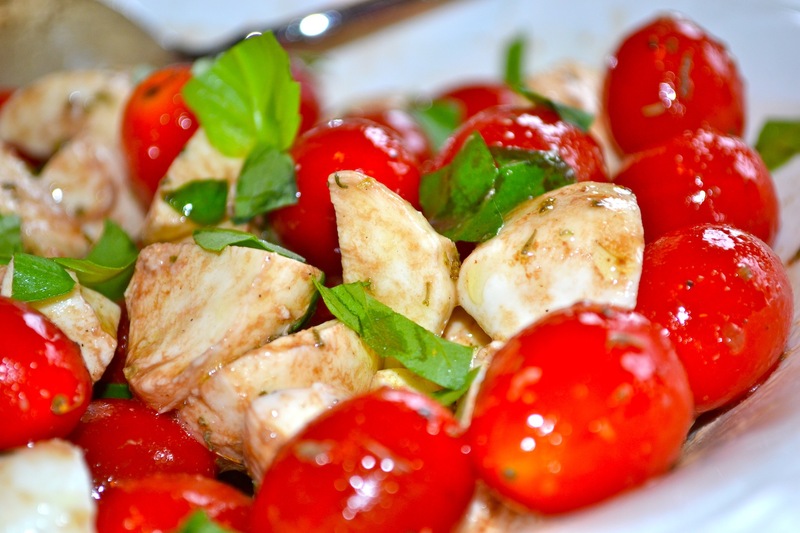 Caprese Salad that so so good! This pregnancy has been going good so far and as I mentioned before…I have been craving Cucumbers, but I have also been craving tomatoes! This simple salad has been a delicious and healthy choice for me as it provides lots of protein and calcium from the cheese and lots of fruit/veggie servings from the tomatoes…which even though I know they are a fruit, I still think of them as a veggie! I know you have probably all made Caprese salads before, but this is a simple way to make a single serving for yourself or a nice side salad for a dinner party! It is a great partner for pizza or garlic bread, or soup! I hope you will enjoy! So I have not been posting as much lately and I wanted to let you all know that there is a good reason for that. I am PREGNANT! And one of the symptoms I have been experiencing pretty strongly is nauseousness and aversions to strong smelling foods! This has resulted in me living on a steady diet of mostly toast, fruit, ice cream, pasta and Cucumbers! However as I am getting deeper into the second trimester, I am venturing back into the kitchen and attempting to actually cook a few meals and to prepare some food for myself and my poor starving husband! Today I made my most basic recipe for hummus. 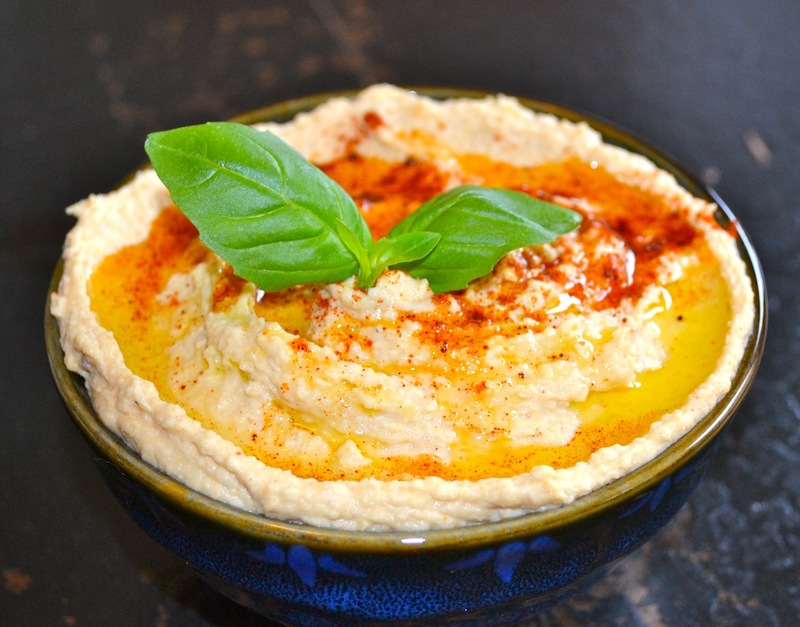 The great thing about this hummus is that you can flavor it however in the world you would like! I will expound on that more later, but for now…lets get to the recipe! I kept it pretty simple today as simple is better for my taste buds and stomach right now. This is a really healthy snack that is good to keep in the fridge as you can eat it with crackers, naan bread, veggies, or spread it on sandwiches. For me right now it is good so that I have something to dip my Cucumbers in! Also it is actually much CHEAPER to make your own hummus at home…just some food for thought! Game day rolls around and it is SO easy to just order a few pizza’s and break out the chips and salsa and call it good! I do think it is nice to also offer something homemade alongside all of the traditional game day fare! 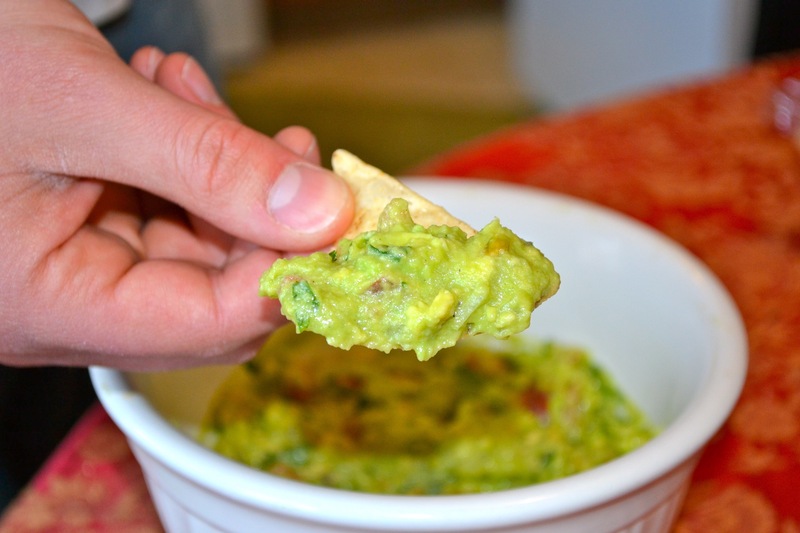 As the NFL Playoffs are here and the Super Bowl is around the corner…this Guac is a must have for your game day offerings! It is fresh, delicious, and will disappear before your very eyes! We had a couple friends over for the Seahawks first playoff game against the Saint’s and I made enchiladas and this guacamole. I don’t want to assume…but I think it might have made all the difference in helping Seattle to a Win…that and our team playing AWESOME! Enjoy! Lately I have been CRAVING all things lemon and have thus far satisfied this craving with lemon cake, and a lemon Bismark Donut, and Citrus drinks including Lillian’s SLUSH! As it is a NEW YEAR, I thought I should celebrate the 1st of January with trying something new! So this was my very first attempt at a Lemon Meringue Pie and all in all I think it turned out great! 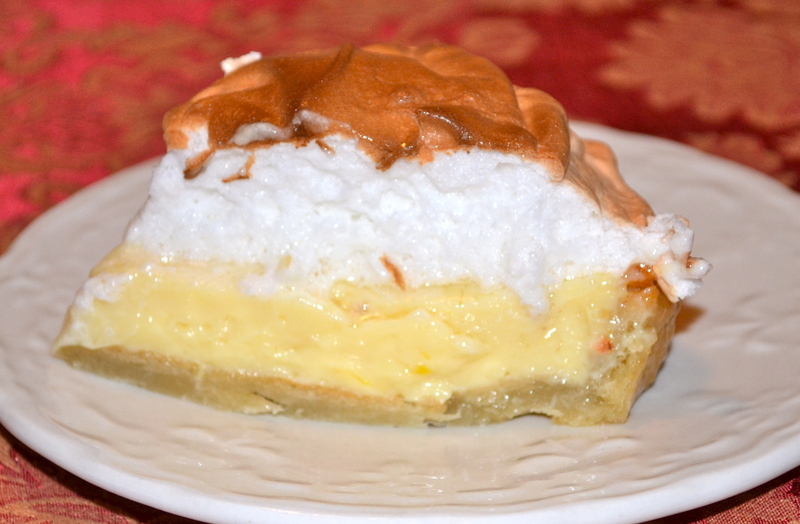 I am not a big crust fan and think that next time I will simply make the lemon filling into little individual custards topped with Meringue! I do know that most people LOVE crust so feel free to make and eat all of the crust you like…with no judgement from me! This particular filling recipe was adapted from Paula Deen’s Recipe on Food Network. We had some good friends over to enjoy this pie with us and their little son Cooper even enjoyed a small slice. Watching his cute little face smile at the first taste and then slowly move into an involuntary pucker was one of the CUTEST things I have ever seen! We were all laughing really really hard watching him eat it, and then he started cracking up too in between bites enjoying the attention! It was a pretty wonderful and precious moment…all thanks to this pie! That in itself is a reason to try it!